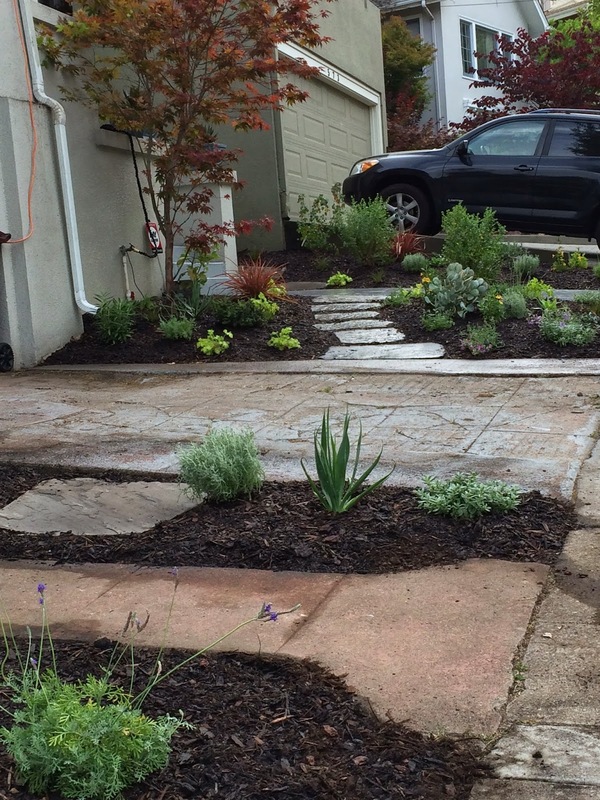 This small Oakland garden has been transformed from a thirsty lawn to a low-water native planting bed. 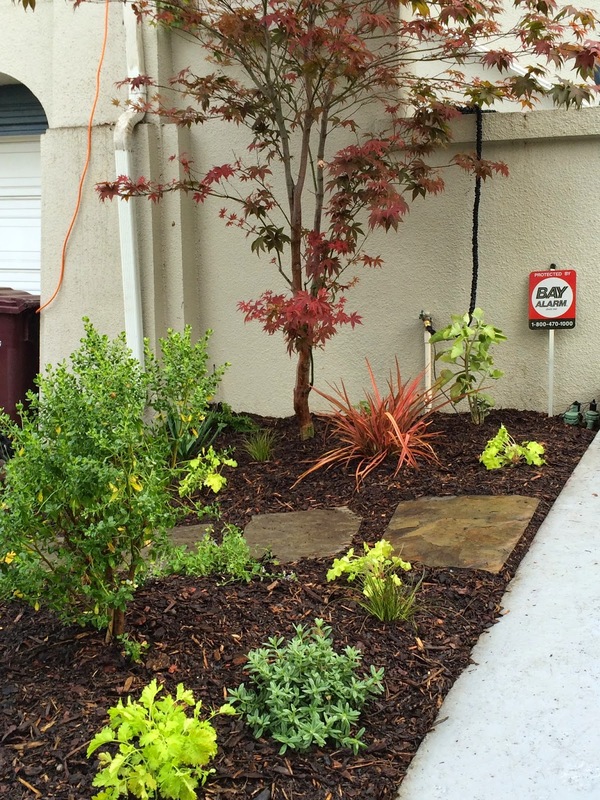 Planted in addition to the existing Japanese Maple are Baccharis pilularis, Mimulus, Carpenteria, Penstemon, Ribes, Crasula, Phormium, Helianthemum, Agave and Beschorneria. Natives are always a great option for perennial planting areas. 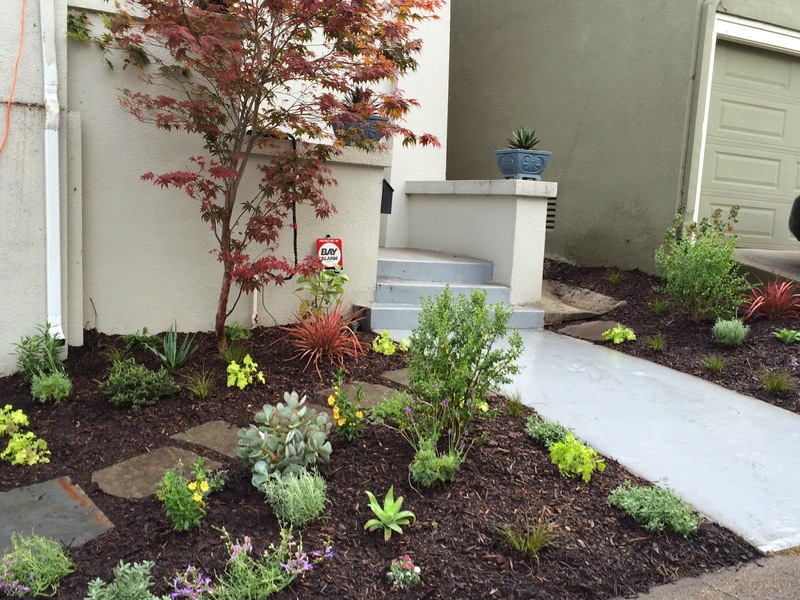 Especially when planted with Mediterranean, African, Austrailian and Succulents.